A Glamorous Ghost Pirate Costume with an all-in-one Dress and Matching Hat in a rich velour with detailed lace design to create a deluxe look! 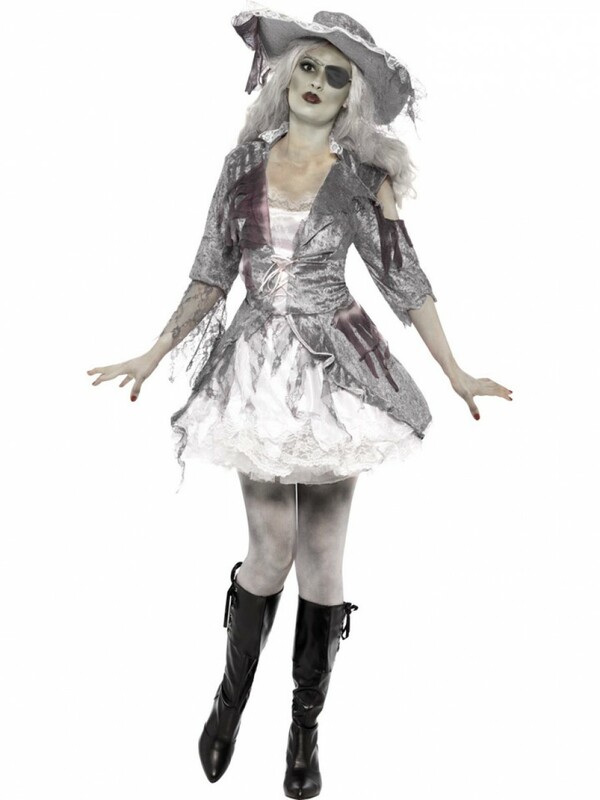 This Ghost Pirate Costume has a fantastic design and comes complete with Dress and Hat. 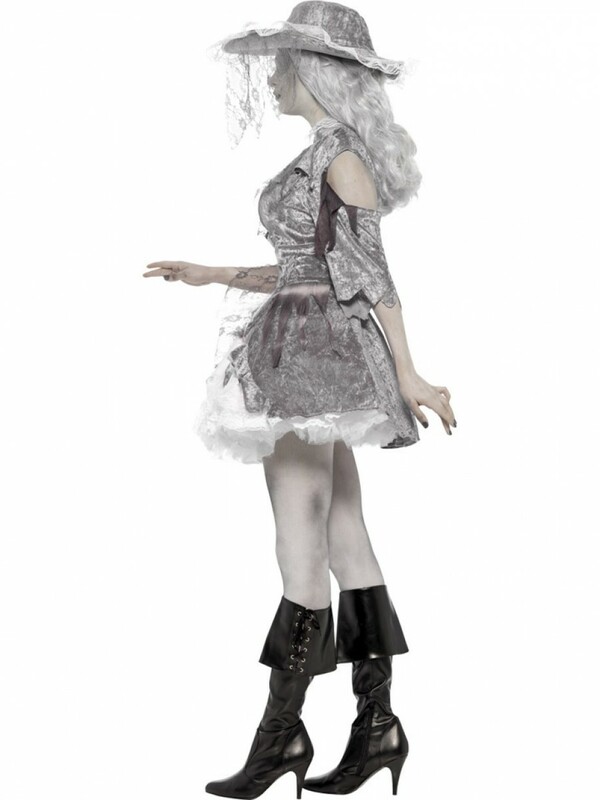 The all-in-one dress is in a shimmering silver velour fabric for an eerie Ghost Pirate look. There is loads of detailing including a mock dress front panel, lace detailing and flared skirt to create this fantastic look. A huge matching hat with wired rim and hanging lace design perfectly completes this stunning Ghost Pirate Costume. An ideal costume for Halloween or fun for a unique Pirate look! Ghost Pirate Costume with Dress and Hat.